Nevada (8-0) – This week: at Texas Tech, 8:00 PM ET, Tuesday | vs. #20 TCU, ESPNU, 11:59 PM ET, Friday. The Martin twins, Cody and Caleb, have been a revelation for the Wolfpack this season, combining for 33.1 points, 11.8 rebounds and 3.1 steals per game in their first action since transferring over from NC State. They, alongside fellow 6’7″ forward Jordan Caroline (18.4 PPG, 9.1 RPG), give Nevada one of the most offensively dynamic frontcourts in college basketball. In the team’s signature victory over Rhode Island, the trio combined for 65 of its 88 points, attempting 40 free throws in the process. Needless to say, it’s been a promising start in Reno. And yet, with back-to-back games against KenPom top-25 opponents, Nevada’s at-large chances may hinge entirely on this week. First up is Texas Tech, an exceptional defensive unit that fouls at a high rate — which could bode well for the aggressive Wolfpack forwards. After that, a neutral court tilt against #20 TCU in Los Angeles looms. One win would keep Nevada’s at-large hopes alive and well; two wins would give it much-needed leeway come Mountain West play. In any case, Nevada probably can’t afford to come up empty. Rhode Island (5-2) – This week: at Alabama, SEC Network +, 8:00 PM ET, Wednesday. 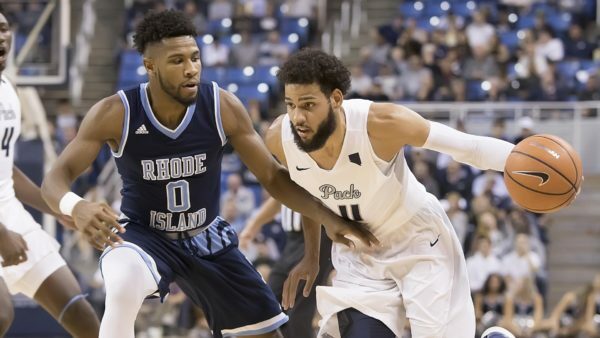 Saturday’s win over Providence gives Rhode Island another rock-solid victory to go alongside its neutral court win against Seton Hall. Still, the Rams have not yet won road game and won’t have many quality chances during conference play. That fact alone makes Wednesday’s contest at Alabama important. If Dan Hurley’s club — still without star guard E.C. Matthews — can notch a road victory over another NCAA Tournament-caliber opponent, it should be in fine shape entering the oft-unpredictable Atlantic 10. A loss could leave Rhode Island wanting, especially if Matthews is sidelined longer than expected. Another awesome performance on Wednesday from freshman guard Fatts Russell would certainly help. Middle Tennessee State (5-1) – This week: at Vanderbilt, SEC Network +, 8:00 PM ET, Wednesday | vs. Mississippi, 6:00 PM ET, Saturday. Middle Tennessee’s at-large hopes are dubious at best after losing to Belmont at home. Still, with three-straight games against SEC opponents — including Vanderbilt and Ole Miss this week — the Blue Raiders may yet have life. Last season, they beat the Rebels by 15 points in Oxford before blasting Vanderbilt at home, 71-48. A pair of wins this week likely won’t carry too much individual weight with the selection committee but would be be critical to MTSU’s overall resume. Realistically, Kermit Davis’ group probably needs to win all three SEC contests, do damage in the Diamond Head Classic and dominate Conference USA to have a shot. With Alabama-via-Memphis transfer Nick King (24.3 PPG, 6.8 RPG) looking like a front-runner for league Player of the Year, nothing is outside the realm of possibility. Northern Iowa (6-2) – This week: vs. UT-Arlington, ESPN3, 8:00 PM ET, Thursday. Already beaming with Battle 4 Atlantis victories over SMU and North Carolina State, the Panthers beat UNLV in comeback fashion last week to further bolster its resume. 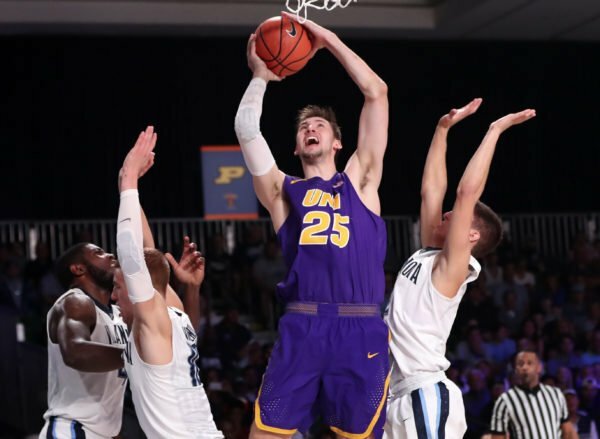 Northern Iowa’s only two losses are to North Carolina and Villanova — both “good” losses, if there is such a thing — and the month of December offers even more opportunity for upward movement: the Panthers get Iowa State on a neutral court (December 16) and #13 Xavier at home (December 22) before month’s end. First up, though, is a home date with Sun Belt favorite UT-Arlington on Thursday. The Mavericks, which beat BYU on the road and nearly toppled Alabama, are the rare opponent that could wind up either a solid win or an unforgivable loss, depending on the outcome. On the one hand, it’s hard to imagine UT-Arlington’s RPI dropping much below #75 this season; on the other hand, it’s just as hard to envision the committee giving Northern Iowa a pass for losing at home against a Sun Belt foe. Either way, this match-up should be fun. UT-Arlington (7-1) – This week: at Northern Iowa, ESPN3, 8:00 PM ET, Thursday. Were it not for that heartbreaking loss to Alabama on November 21, UT-Arlington would be entering Thursday night’s contest undefeated with a chance to raise eyebrows around college basketball. Instead, the Mavericks probably need to beat Northern Iowa followed by Creighton in Omaha on December 18 to keep their at-large hopes alive. With the nation’s leading assist man, Erick Neal (10.1 APG), and mid-major superstar Kevin Hervey (23.4 PPG, 8.4 RPG) in tow, that scenario is hardly out of the question. Vermont (6-2) – This week: at Marquette, FOX Sports 1, 7:00 PM ET, Tuesday | at Northeastern, 4:00 PM ET, Saturday. Vermont’s already-slim at-large aspirations probably died after Saturday’s narrow loss at Bucknell. Still, were the Catamounts to win at Marquette tonight and win out the rest of the season, perhaps they’d have an argument should they stumble in the America East Tournament. You just never know. This entry was posted on Tuesday, December 5th, 2017 at 8:01 am by Tommy Lemoine	and is filed under feature, microsites, other 26. Tagged: alabama, america east, atlantic 10, caleb martin, conference usa, e.c. matthews, Eric Mussleman, gonzaga, jimmy v classic, Jordan Caroline, Kevin Hervey, mark few, middle tennessee state, missouri valley, ncaa tournament, nevada, Nick King, northern iowa, rhode island, ut-arlington, vermont, villanova. You can follow any responses to this entry through the RSS 2.0 feed. You can leave a response, or trackback from your own site.